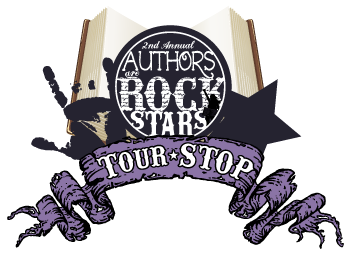 Rockers and rollers, I am very honored to be a part of the 2nd Annual Authors Are Rockstars tour! And today I have not one, but two author rockstars: J.K. Rock, the sisters-in-law duo of Joanne and Karen Rock, and the creators of Camp Boyfriend! While I can't say that they wear leather and put three bottles of hairspray in their hair every week (or do they? ), I can say that J.K. Rock are total rockstars. For one, they are great at socializing and interacting with people on Twitter, which I just love. They also rock out on Pinterest, where they have a Rock Star Bloggers' Hall of Fame! If that's not enough, Joanne and Karen are just so stinkin' nice, and you can't help but want to be friends with them! Therefore, I'm stoked to have them on the blog today as they discuss a fun camp related topic. 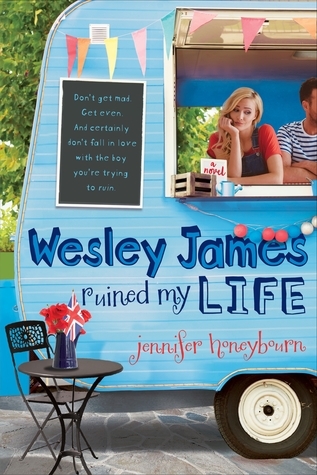 Oh, and did I mention that there's a totally rocking giveaway? So stick around, my fellow reading rockers, and prepare to ROCK ON with J.K. Rock! Go backstage with Joanne and Karen as they discuss their Top Ten Best Camp Moments! 1. "A Boy and a Girl in a Little Canoe"
Bill Murray gave us a classic campfire tale where the scary main character has a hook for a hand. And, like any good counselor, he tells it with just the right amount of drama! One of my favorite camp movies is actually a British one called Camp. It’s funny and heartfelt with talented kids with amazing voices. It’s about Camp Ovation, a performing arts summer camp where talented kids come to spread their wings. Among them are Vlad (Daniel Letterle), a "bona fide straight boy"; Ellen (Joanna Chilcoat), a megastar with huge insecurities; and Michael (Robin de Jesus), who's struggling with his sexual identity. Their director, Bert Hanlon (Don Dixon), is a washed-up has-been -- but the kids have at least as much to teach him as he has to teach them. If you want to check it out or rent it, it’s on NetFlix. . .
Our agent sent us a copy to this poem after we finished Camp Boyfriend, so we can’t really call it an inspiration. But any camper can identify with this one! It captures so much of the experience. And where I let you know, it’s ok to be you. And don't forget to check out Camp Kiss, the prequel novella to Camp Boyfriend! What are some of your favorite camp/outdoors memories- real or fiction? Share them in the comments section on this blog and one lucky individual will win an advanced copy of Kami Garcia's (author of Beautiful Creatures) upcoming book Unbreakable, an advanced copy of Holly Black’s The Coldest Girl in Coldtown, an autographed copy of Camp Boyfriend, an 'I < 3 My Camp Boyfriend' fitted tee, bookmarks and temporary tattoos. Best of luck! Groupies, if I wasn't hosting J.K. Rock, I would totally enter this giveaway! It is made of awesome! Oh, and by the way--it's INTERNATIONAL! Thank you so much for stopping by and meeting (or seeing again) Joanne and Karen! These ladies truly are rockstars, and it's wonderful to share that with you! Now, go and rock on, readers! Thanks so much for the awesome giveaway!! I've never been to camp, there weren't that many camps here when I was young!! We grew up in a popular area for summer camps, so we were both lucky to attend. And the giveaway is 100% our pleasure! I can't tell you how much fun we have scooping up cool books we think readers will love. Thanks so much for this giveaway. Camp boyfriend sounds awesome and I'm dying to read it! I've never been to camp, sadly :(. It's not such a big thing in England, but I would love to go to a creative writing camp. Maybe then I'd actually get some writing DONE. Lol. Please take us with you when you find one, Hannah!! Thanks for the awesome giveaway! I can't wait to read any of these books and Camp Rock sounds amazing! I've never been to a camp but went camping with my grandparents a lot when I was little. I went camping with my cousin and grandparents one year and my cousin and I went on a nature hike, she had to go to the bathroom really bad and there were no bathrooms around, so she sat on this huge rock while I went to get my grandparents, by the time we got back to her she had used the bathroom all over the rock. Then when we got back to camp our tent was broken into by raccoon's! OMG, this is why camp is so memorable! Where else do these things ever happen?? Thanks so much for stopping by the blog, Erin! I've never been to a camp, but sharing horror stories around a campfire was an experience I wish I had. I am impressionable enough that I sprinted back to my cabin afterward. UNTIL I was old enough to hold hands with a boy. Then scary stories became fun for a whole other reason! I went camping with my friends in the woods a few years back and it was amazing. We spent the night talking, joking and with the sounds ofnature all around us it was a great experience. It's really wonderful to have moments where we can be amazed by Nature :-). I go camping a few times every summer with my family and it is always tons of fun, staying up all night talking about our childhood and going on walks through the woods. My only going-to-camp experience was outdoor school in sixth grade and that was terrible because middle school is hard and kids are mean. Middle school what is it about those years? We still do a little camping with family too... I like the marshmallows best. And the beach! Hi Carole!! <3 you so much for stopping by the blog. You're entered for sure! I used to go to camp every year and one time our group got droppend off on a location and we had to find our way back to camp and we got lost and a lady called the police even though it was a complete fail it is one of my favorite memories. LOL... I'm glad it was a positive experience!! I know my kids would love something like that. We have some really Awesome bonfires with some funny stories and laughs. I never went to camp but my kids did and they loved it! J.K. Rock You are Rockstars!! Awesome prize!! Thank you, Tia!!! We've been so excited for our turn on this tour and feel waaay fortunate to be included as newbie YA authors. It means so much to have such a nice turnout :-). We live in FL and had this 20 Ft Winnebago RV and one spring my mom, sister and I + dog and lovebird went traveling up north and went through Connecticut up to Maine staying at state park RV sites and hiking in all the parks and looking at the different historical sights. Joanne, Karen! you ladies are awesome!! Gaby, you too!! Thank you :-). I hope CAMP BOYFRIEND gives you a mini camp experience to bring it alive for you! I've never been to camp but I'd love to and dream about my ideal camp holidays. Hi Sana! We are thrilled to do a giveaway! We raced around ALA trying to find great books to share with readers who would love them. It was like a game show-- see how many books you can find! We are sooo grateful to Rachel for hosting us too! Authors Are Rockstars is a fabulous, fabulous book tour. We've been eyeing all the other author posts this month too. I have never spent much time outdoors. I mean, I read. Nikki, if you look up at the stars on your way, I'm going to count it! Great post! I love camp books even though I've never been to Camp myself. We used to go camping all the time when I was little and I miss that a whole lot! Thanks so much for stopping by our AAR tour date!! That's cool, Vivien!! We're writing a scene in Camp Forget-Me-Not that takes place on a weekend and it's sort of the same... the campers are there, but the weekends are all a little more relaxed! Hi Desnica! We're just glad you're here :-). Thank you so much for sharing our AAR tour date and making it a really special day for us! I had some good times at an all-girls church camp growing up, and I'm a huge fan of the movie Heavyweights. It's a must-watch camp movie. Also, Joanne and Karen really are rock stars. I adore them! Thanks for the giveaway! <3 <3 <3 Thank you so much, Mary! We appreciate you so much! :-) Fatma, international fans have been very supportive so we try to send the love back! Thank you for stopping by the blog. My favorite outside memories are when my family used to camp at a campground in Branson Missouri. And we would sit around the fire at night, my family, my aunts and uncles and cousins, and tell stories and jokes. Great author post, I love to hear about authors I didn't know about before. <3 We love meeting readers who didn't know about us before, too :-). Nice to meet you, Lisa! Thank you so much Joanne & Karen! This giveaway rocks and I'm reliving memories I'd almost forgotten! Yay! Hi Myra... my kids have been playing a version of spotlight lately.. something called Slender where they try to scare the living daylights out of each other too? Geesh. But the love it. Thanks so much for stopping by the blog! when i was 12 i when to a camp, where here in chile we dont call it that way, but i have an awesome time, i meet a lot of good friend! I went to a military camp when I was the in seventh grade and I had the time of my life. We went rock climbing, parasailing, rappelling, and what not, but we also had to go through a lot of training starting at the crack of dawn. That's such a good age for those kinds of activities... and for camp!! Now I want to write a parasailing scene!! I never went to camp when I was younger, but growing up in WY I did plenty of camping. I still love it, but the camping around PA pales in comparison. My favorite camp movie is Wet Hot American Summer. So funny! Thanks for the chance to win this awesome prize! Hi Natalie! Would you believe I haven't seen that one? 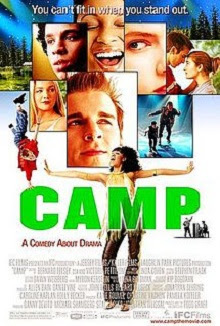 And I noticed it comes up on a lot of people's "best camp movies" list... must watch! I've never been to camp or camping, but I do spend alot of time outside. I love going outside when it cools off in the evening and reading. I did this just last night... there was a huge storm after a hot day, and afterward, it was absolutely gorgeous outside. I've never actually been to camp, but as a child I have fantastic memories of the whole family spending the long, hot Australian summer days at the beach!! I love big family days at the beach. We didn't take enough of those this summer, but I mean to fix it next year! And we're so glad to extend the giveaway to international readers. You've all been incredibly good to us :-). Water fights... we just to pull up the slide in our yard next to the slip and slide so we had our own waterpark in the backyard. It was great until the whole yard turned to mud. Then it was even better . This giveaway is amazing, thanks! I love JK Rocks' favorite camp memories. I vividly remember going to Girl Scouts Camp and thinking it was going to be something like the Parent Trap...it wasn't (no twin or pranks, bummer LOL) but I did have a lot of fun singing songs by the campfire, roasting marshmallows, and making new friends! Yay!!! Thank you for stopping by the blog, Patrice! We've had such a blast on our tour stop. I can tell you I was thrilled (Joanne here, BTW) when there were no pranks at camp. I think I was worried about that before I went!! A forest picnic!! We took my girlfriend to one before her wedding day and did up a table with white linen and silver candlesticks, the whole nine yards. It was gorgeous. And delicious :-). I hope for this too!! You can kind of recreate it if you do a weekend backpacking trip with friends. Hike for a couple of days and build fires at night.. talk until it's late, bring good treats. It could be really fun! How cool about the Spruce Goose!! What a great memory :-). I'm thinking you need to go back and get your flying moment in though... next time, say that *you'll* be sick if you don't fly!! I love camping but have never went away to camp, although I always wanted to! Nothing better than sitting around a campfire with some good friends! Thank you for the awesome giveaway! Our pleasure, Violette! So glad you stopped by! I've never been to camp but one of my best outdoor memories was from when I was young, about ten, and my siblings and friends decided to have our own Olympics. We made different awards and games and just spent the day outside running around. It was pretty awesome. How cool!! This makes me remember an outdoor carnival I had once with my cousins. We spent so many days outside prepping for it, making obstacle courses which were kind of like the ropes course in Camp Boyfriend. We had a blast! I actually went to a camp with my school a couple of years ago. We were able to go through an Underground Railroad stimulation where we pretended to be slaves and had to walk through fields, crawl through tunnels, and hide in houses as we made our "escape". We also got to go ziplining and go through some height obstacles. It was a really fun experience! How neat, Ariel!! The educator in me has to commend your school on sliding in a great learning experience with a fun/memorable activity. If only school could be that way every day!! Hi Tiffany!! So glad you came by! We wrote Camp Boyfriend because we loved memories like that and a book gives some readers a way to relive them, and other readers a fun way to have camp even if they've never been! It's an experience worth sharing :-). I've never been to camp, I love watching movies were everyone tells ghost stories on camps. I always wanted to do it! trying to light a fire!that was horrible!! Some of my favorite camp memories: I loved the camp games! At the end of camp, we all separated into groups, came up with a name and flag, and participated in the Camp Games! Our group was called Dangerously Cheesy (because at the time someone was eating a bag of cheetos) and our theme song was "We're Cheesy. Dangerously Cheesy. Everywhere we go, people want to know. So we tell them: Cheesy. DANGEROUSLY Cheesy. Congrats to the lovely author! I love camp books an d can't wait to eventually get my hands on it! Roasting marshmallows of course! :D What a great giveaway and amazing authors! Sharing horror stories in the middle of the night around a campfire and being scared to death with the woods is a cliché but also an awesome memory from camping! I don't know if this counts, but when my family and I went on vacation, we did a LOT of outdoor things - not hiking or camping. But we did Go Karts and Mini Golf and Water Parks. I loved it and miss it now! The seven years that I have spent at my sleep-away summer camp are what made some of the best moments of my life. The friends and the people as a whole are an entire family to me. I have some friends that I will keep in touch with for a long time. Classic campfire scary stories and smores never gets old. Now, as an adult, I am a teacher counselor at a week-long leadership camp for junior highers each summer. I love everything about it: the crappy bunks, the bugs (and other critters), the bland/questionable food, the staff who is like my family, etc. We've seen the junior staff members form relationships and watch the campers try to hard to fit in and have a camp "love" connection. All the while, we really just have a good time and mostly everyone lets their too-cool-for-school guards down for the week. LOVE camp! I went to a bunch of camps, most of them revolved around sports, but I'll never forget the friends I made at those bonfires! Staying up late and telling stories, while getting up early in the morning again to train! I regret not having any contact anymore with most of those friends but those moments I'll never forget! Love the post! and a great giveaway!